I have finally decided to blog again…it has been too long. So, what’s been going on with all of you? A lot has changed with me…started a new job that I love, am going for my make-up certification, and decided to sign up to a gym to do weight training. I haven’t stepped foot into a gym for so long…it freaks me the hell out. I always feel like everyone is staring at me like I have 5 heads because I am the most uncoordinated, clumsy girl. No joke. But, I need to grow a set and just go…weights falling on my head and all. I will keep you all updated on my shenanigans more often…there are plenty. Plus, I miss you all! 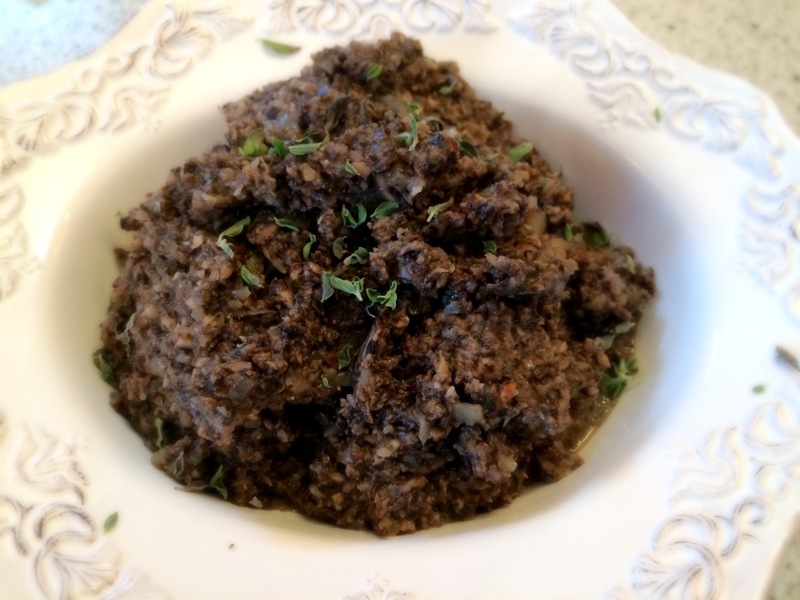 Anyway, here is my recipe for Mushroom Pate. It is a really easy recipe because I didn’t want to think too much when I made it. Plus, I only needed a few ingredients and there was hardly any prep and that is a major bonus to the lazy peeps out there. See? I’m always lookin’ out. You’re welcome. Ok, first you heat the pan on medium. Add butter and oil until it starts to sizzle a bit. 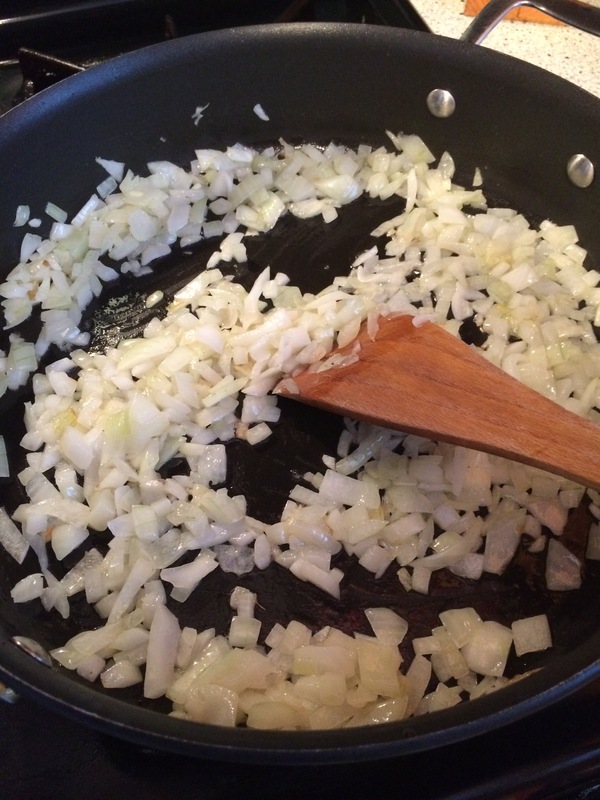 Add the onion. Cook until it becomes translucent. 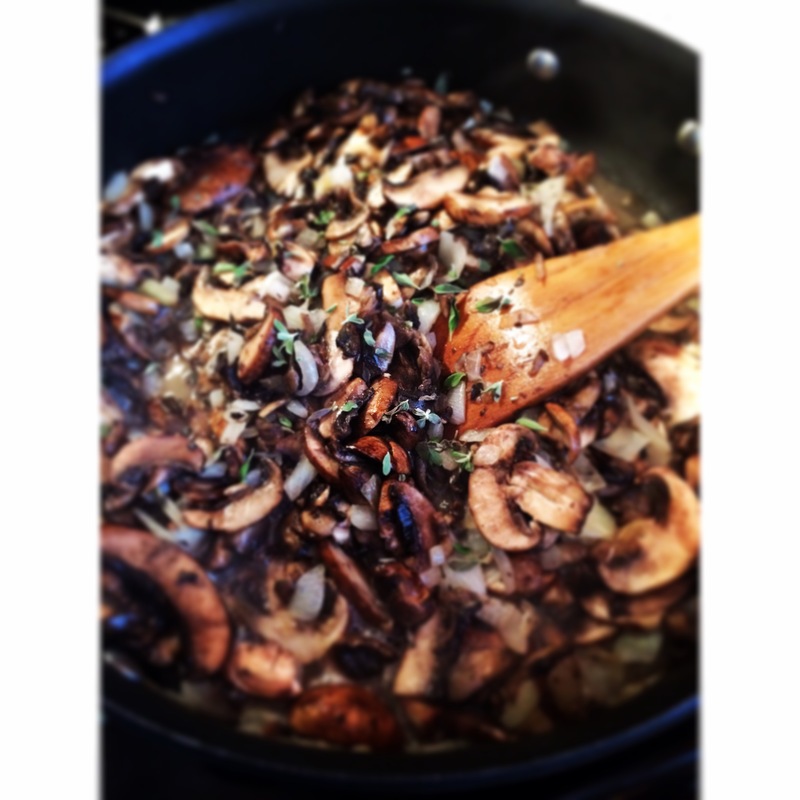 Add mushrooms and cook until reduced by half. Make sure you pay attention that it does not start burning, or you will have a bitter taste. Turn down the heat if you need. Add a teaspoon of marjoram and stir in. Once cooked, turn off heat and let cool. Add salt to taste. 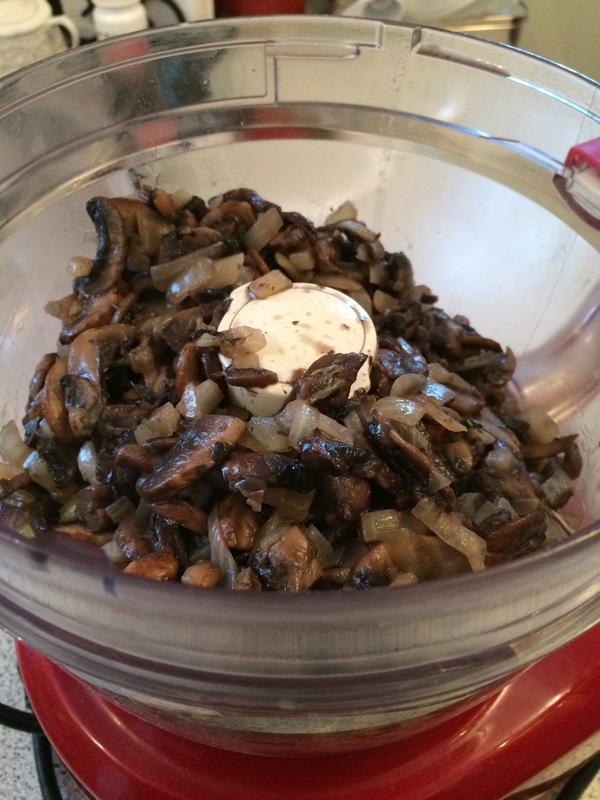 Pour mushies in food processor and give it a whirl. Pour into a pretty dish and top off with the rest of the marjoram. Serve with some gluten-free crackers, chips, or cucumber slices. For the non gluten-free peeps…use a baguette or whatever cracker you like. Pour yourself a glass of vino and go to town.